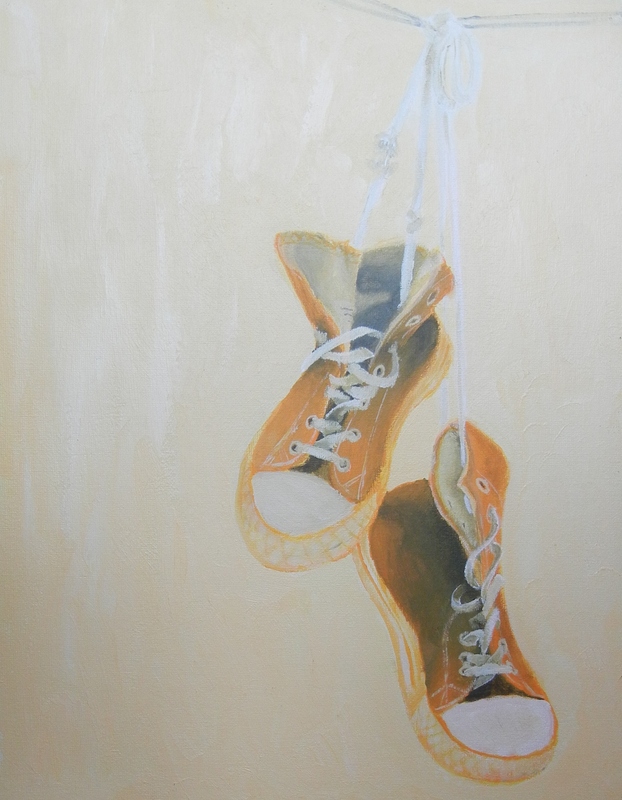 Mia made another painting – a pair of sneakers hanging from the wire, called One step at a time. It is a monotone acrylic painting where she was only allowed to use shades of orange and black. Great job, Mia!